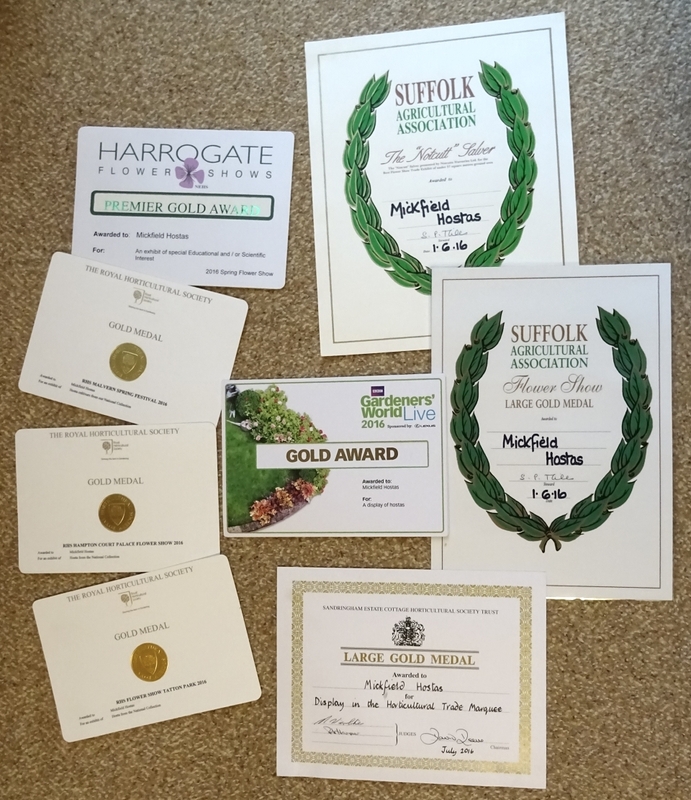 The following is a collection of images and reflections on our first clean sweep of Gold Awards for show displays in a single show season. 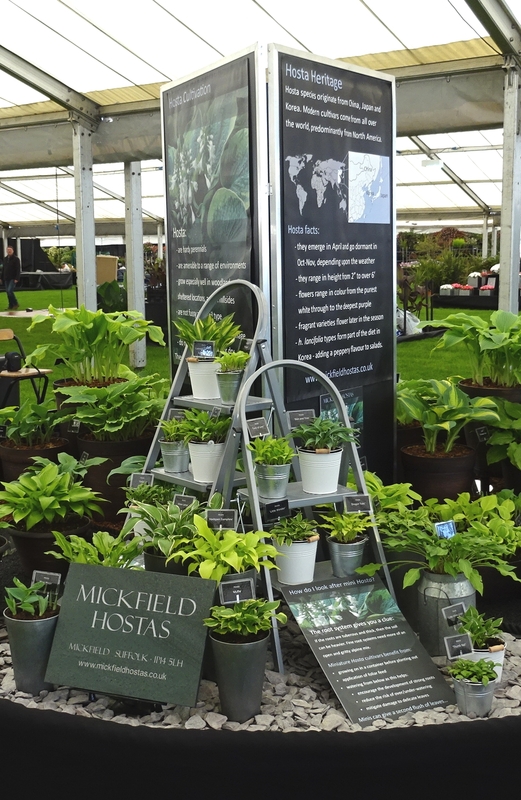 Aside from the occasional Lindley display we have staged for Plant Heritage, and at Harrogate due to seasonal issues, we have never gone a whole show season doing only this form of educational displays. We kicked off the season with very few plants opening, so we were very relieved to have decided to go for an educational theme to enable us to explain why, rather than force the plants. 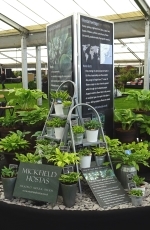 We used ladders to show how you can raise plants off the ground and help protect them against damage, container growing to extend the season, and using Hosta as a food crop. 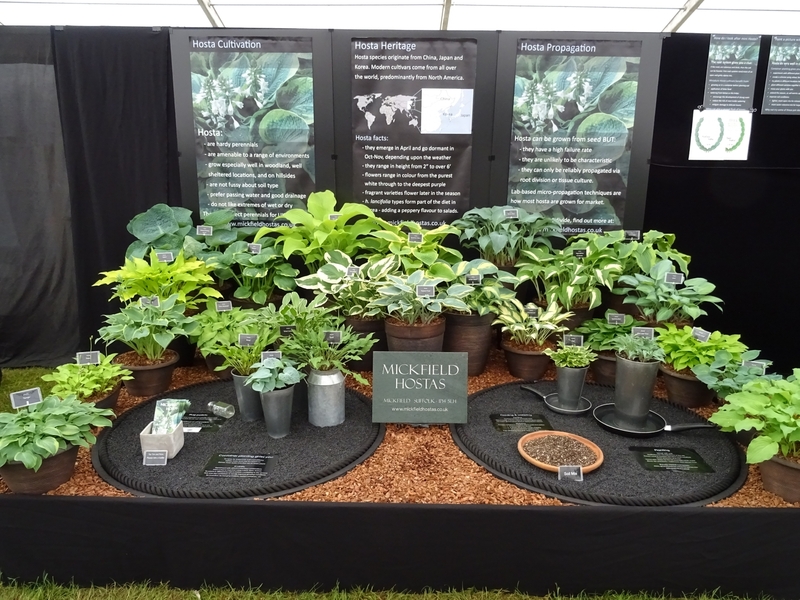 We used a similar layout to the Harrogate display and had hoped to show a dramatic difference in the emergence of the display plants from Harrogate. As usual the weather had the last word, and the plants were not that further forward. Rather than worry about this, it proved how the weather greatly affects the natural emergence of the plants. Visitors were heartened to see this in relation to their own gardens. This year we asked for a background site on which to stage our display, which was quite a challenge with regard to securing the poster board background. It looked good and once again prompted much positive feedback. 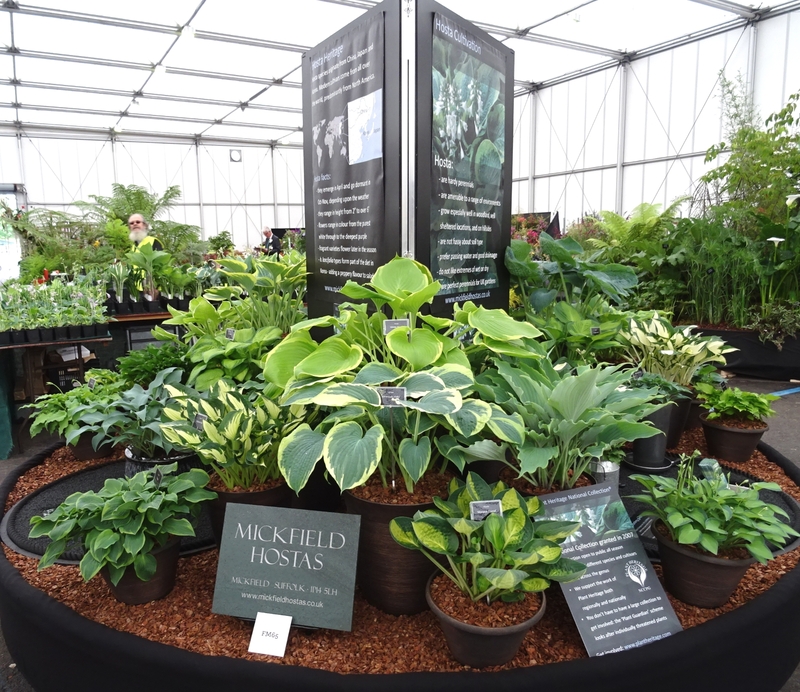 This is the best show of the season for seeing the plants at their best. 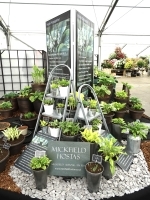 The colours are so vibrant and it was a real job to know which plants to take, as there is less space for plants on an educational display. We decided not to use the ladders on this display due to lack of space. This display was a trial to stage due to the heat and restricted space in which to work. 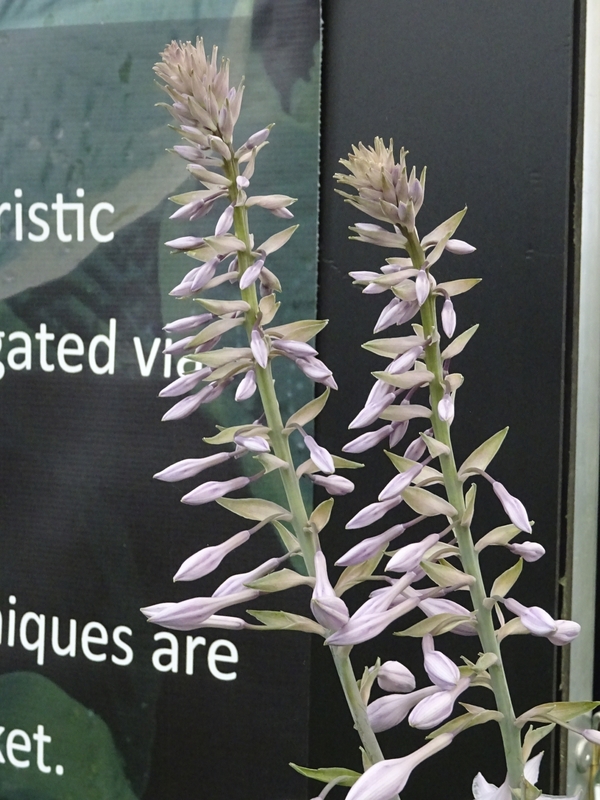 This time we featured quite a lot of varieties that were in flower to illustrate that Hosta do indeed flower, and that they can vary in form as much as the individual cultivars. The image on the right shows H. 'Arctic Blast', which has a particularly elegant and architectural flower. When we returned to the nursery from Hampton we found H. 'Fried Bananas' flowering. 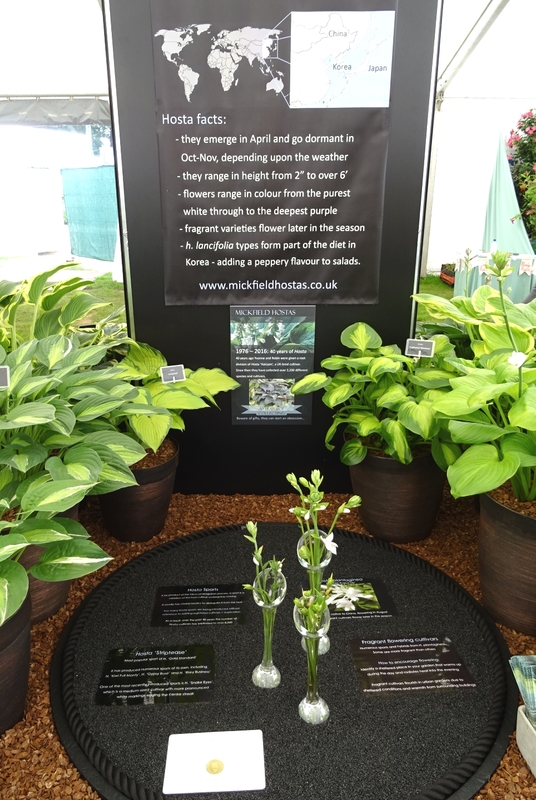 As this is a fragrant flower we decided to feature fragrance in a section of the display at Tatton. The image shows some vases containing fragrant flowers. 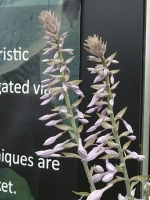 This proved a great hit with the public as many were unaware that Hosta flower and to find out that some have a fragrance too, was new to them. 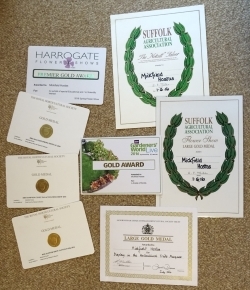 This was a return to Sandringham after more than 10 years away and we celebrated with a Large Gold. 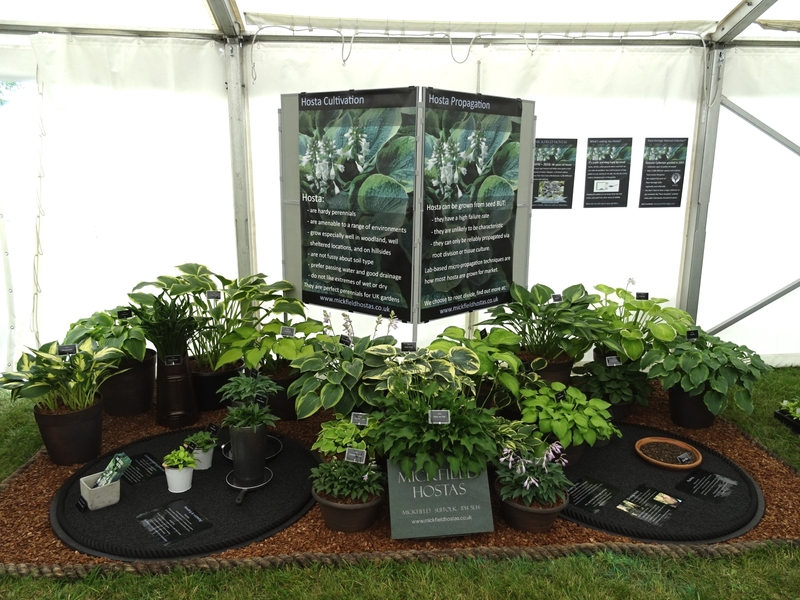 This display was a long the lines of the one we did at the Suffolk Show. In celebration of our 40th anniversary of our collection, we decided to stage Lindley (educational) displays. Lindley displays differ from Floral in that they include a fourth set of judging criteria covering knowledge and interpretation of that knowledge. They can be problematic to stage as they require much more thought about the messages the exhibitor wishes to convey to engage visitors to the stand.